Taylor takes temperature seriously. 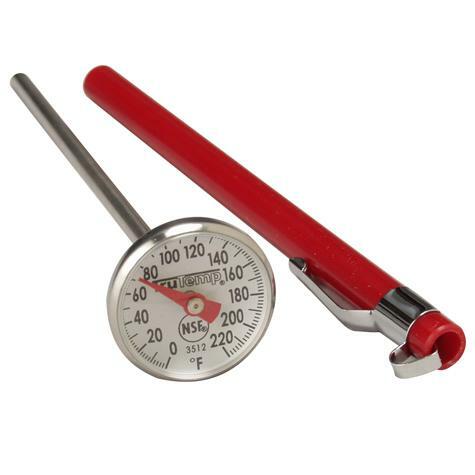 Rely on our full line of thermometers to provide the best solutions to the food service and professional community at every level. Our thermometers fulfill the professional’s market for accuracy and durability and our reputation is built on our legacy of technical expertise and constant monitoring of the changing industry standards. 1" dial with magnified lens.